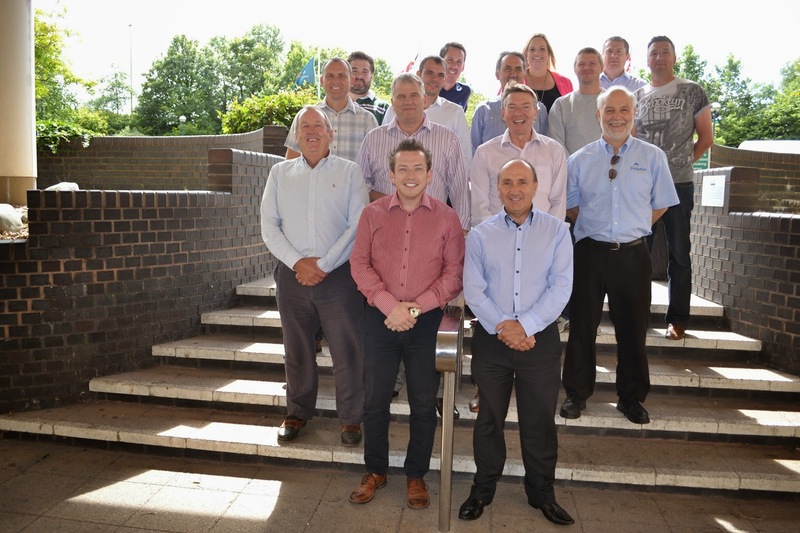 The 16 UK offices which make up the Dolphin Lifts Group recently held their annual franchise meeting in the Midlands. The two day event provides members with the opportunity to discuss the latest market trends and product developments whilst also planning future activities, as Director Craig Dunnage explained. During the two day event, members of the franchise spent time with representatives from handicare, to hear about its plans for the future, and have a tour around the company’s UK headquarters in Kingswinford. “Every year we aim to engage with one of our suppliers to gain an insight into their range of solutions and I would like to thank Tony Mercer and the team at handicare for a very enjoyable and informative day” continued Craig. Over the last 25 years, The Dolphin Lifts Group has firmly established itself as a leading independent supplier of hoists and stairlifts in the UK. There are now 16 independently owned and operated Dolphin branches covering the UK and most are family businesses, helping to add the personal touch so often missing from larger companies. Dolphin Mobility prides itself on being independent and represents many of the leading mobility and access equipment manufacturers including Stannah, Liko, Handimove and Thyssen. However, as it is not aligned with one individual supplier, the company is in the unique position of being able to offer customers completely independent and impartial advice and quotations. For more information and to find your nearest Dolphin branch visit www.dolphinlifts.co.uk or call 0800 9800126.